Student loan refinancing can save you money, but it can also cost you. More than 44 million Americans now owe roughly $1.5 trillion in student loans. The average college graduate from the class of 2016 went out into the real world saddled with $37,172 in student loan debt. The interest rate on federal student loans recently increased to 5.05%-7.6%, and private student loans are usually even higher. 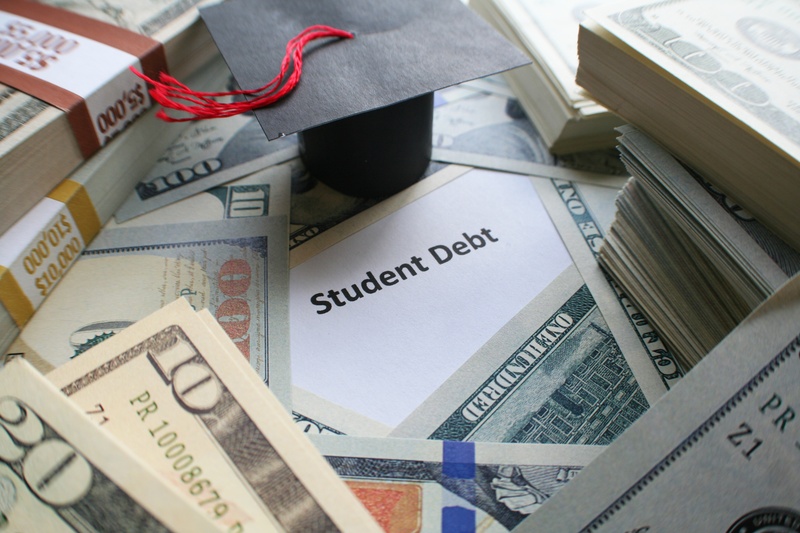 It’s no secret that paying off student loans often takes decades, and many borrowers are finding that the majority of their monthly payments go toward interest fees. As interest rates continue to increase, it’s time to consider refinancing your student loan debt. Student loan refinancing is the process of getting a new loan to replace some or all of your student loans. This is done to consolidate your loans into a single monthly payment and to, ideally, lower your interest rate. If you qualify for a good offer, refinancing can help you save thousands and finish paying off your loans earlier. Refinancing can be a life saver when you’re saddled with debt, but it can also make your situation worse. Before you refinance your student loans, here are some important steps to take. 1. Read up on the benefits offered by federal student loans. Income-driven repayment plans that can lower your monthly payments to as little as 10% of your discretionary income. Loan forgiveness after 20 to 25 years of on-time payments under certain income-driven repayment plans. Public Service Loan Forgiveness for borrowers working in eligible public service jobs. Deferment and forbearance options, which allow you to temporarily stop making payments in the case of financial hardship. If you refinance your federal student loans under a private lender, you will no longer have access to most of these options. While some lenders do offer deferment and flexible repayment plans, they’re not as generous as federal plans. There are currently no officially recognized forgiveness programs for private student loans. 2. Choose which loans you want to refinance. If your interest rate is already low, there isn’t much benefit to refinancing. However, you don’t have to refinance all of your student loans. For example, if you have two loans with a 7% interest rate and one with a 3% interest rate, it might make sense to keep the loan with the 3% interest rate but refinance the other two. You could also refinance just your private loans and keep your federal loans. Many lenders refinance student loans at variable rates as low as 2.5%. Keep in mind that this is on the low end of the interest rate range, so only the most creditworthy borrowers will qualify. 3. Check your credit report and credit score. Before applying, it’s prudent to pull your credit report and make sure there are no bad marks. If you see anything on your report that you believe is incorrect, you should dispute it with each credit bureau. Check your credit score as well. You should have a FICO score of at least 650 to qualify with most lenders, but a 700 or above will get you the best rates. 4. Improve your chances of approval. There are several steps you can take to improve your chances not only of being approved, but of receiving a good refinancing offer. Pay off all of your credit card debt. If you can pay off your credit card debt in the near future, it will help you out when you apply for refinancing. This will also decrease your debt-to-credit ratio, so you may see an immediate bump in your credit score. Increase your credit score. There are no quick fixes for poor credit, but if you’re on the edge of qualifying, paying off a balance or asking for a credit limit increase may help. Negative items will fall off your credit report in seven years, so if the seven-year mark is approaching, you can wait to apply for refinancing until it passes. Have a steady job and good income. Employment history is an important factor in determining whether or not you qualify for refinancing. If you don’t have steady work, focus on that first. If you have a stable job but a low income, you may want to consider applying with a cosigner. 5. Compare rates and terms from different lenders. Once you’ve decided you’re ready to refinance your student loans, shop around for the best rates. While getting the lowest interest rate possible is important, you’ll also want to consider other terms like whether the interest is fixed or variable, what the repayment options are, if they offer options for people experiencing financial hardship, and what their customer service is like. Consider the repayment term as well. You want to get your loans paid off in a shorter time span to save money on interest. For example, if you’ve got eight years left on your repayment plan and you decide to refinance at a slightly lower interest rate with a 10-year repayment plan, you’ll likely end up paying more than you would with your current loans. Ultimately, refinancing can be a powerful tool for cutting down on student loan debt quickly, but don’t automatically assume you’ll save money.